​BRING YOUR CO-WORKERS, YOUR TEAM & YOUR BOSS! Happy & Healthy Employees Are Key To Success! Our unique team building programs are focused on fostering communication, team bonding, creative thinking, and problem solving among teams. There's nothing quite like stepping outside of your regular work environment and stepping into a boxing ring with your co-workers! New, and stimulating environments get your staff out of their daily routines and encourage them to try something adventurous together. As a team, your group will embark on a fitness journey that will leave them inspired and confident to take on new challenges together. Our sessions are focused on setting shared goals, and achieving them as a strong and cohesive unit. We aim to foster open communication, problem solving, and some laughs through partner drills which encourage creative thinking, interaction, and team bonding. Grinding it out together has profound effects on the ways that teams work together to achieve shared goals. Session are led by current or former Muay Thai Fighters who share their real life ring experience, goal setting tips and tricks, lessons of overcoming challenges, relentless vision, and the value of team support in the process. 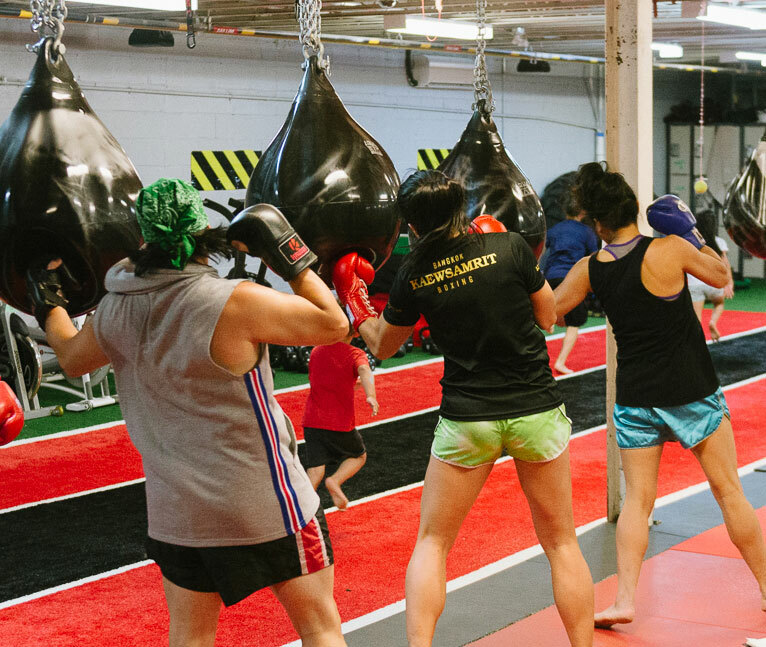 Hitting the pads together, and learning the basics moves of Muay Thai is a wonderful way to relieve stress, and motivate staff to embark on happy, healthy life styles. Custom classes created specifically for your team and unique goals! 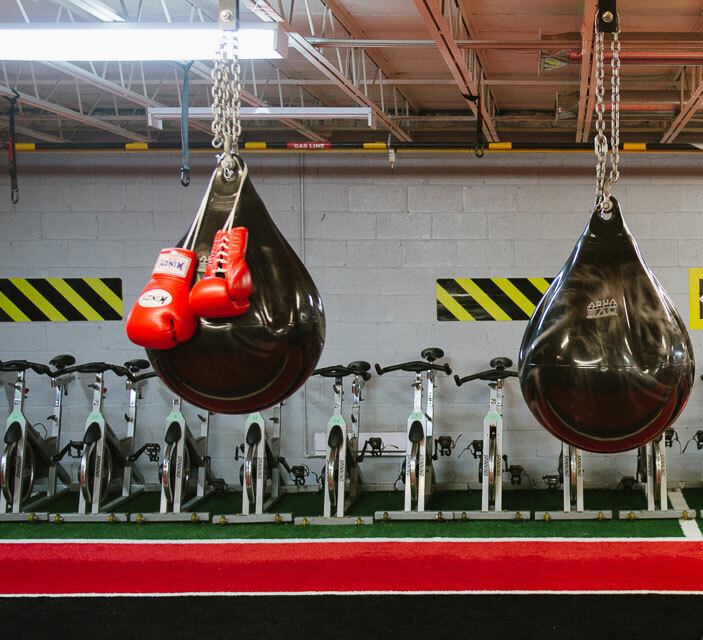 Mix & Match Activities Including: Muay Thai Kickboxing, Kettlebell, Strength & Conditioning, Bootcamp, HIIT, Core, Plyometrics, Cardio and more! Please contact Kru Matt, for booking and more details!